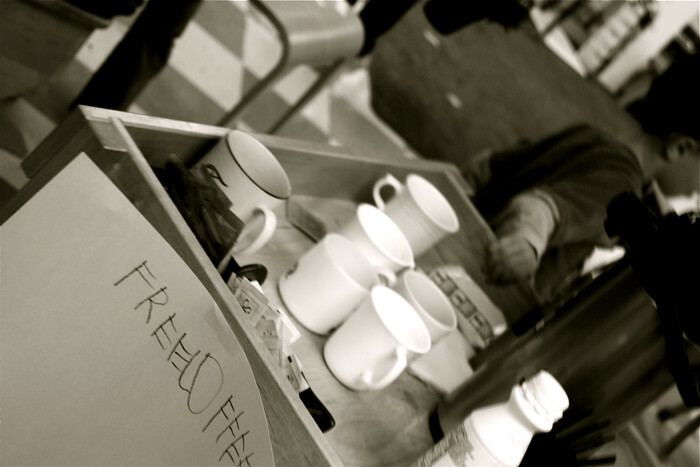 if you were an adult who came in on a certain morning towards the end of the school year, you were met with a free coffee cart. we have coffee made every day and there are some families who have time to drink a quick cup. this day that was made a little easier by the kids “serving” coffee as families entered the classroom. as the morning went on, preschoolers would wheel the cart to me and ms. carol to refill our cups. again, REAL WORK is so satisfying. Real Work: How very Montessori of you. It’s a fabulous idea to offer coffee to parents! I second Libby’s comment! Politeness and table manners–good to have that reinforced somewhere other than at home. I look forward to the coffee cart again next year! Thank you for teaching kids manners and real-world behaviors!